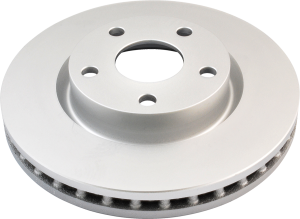 DBA’s Street Series direct replacement rotors are ideal for drivers seeking OE level braking or entry level performance braking. As one of the most safety critical components in any vehicle, DBA manufactures above OEM standards as our minimum requirement. DBA’s Street Series improves on traditional OE rotors with DBA’s patented Kangaroo Paw ventilation* for improved heat reduction and EnShield Protection* for rust free rotors, available with either an OE style CBN machine finish, X Gold cross drilled (X)* or DBA’s patented T2 bi-directional (S) slot design. DBA recommends the street series for daily drivers, light commercial and street SUV applications. *Not available on all part numbers. Please confirm with your distributor. 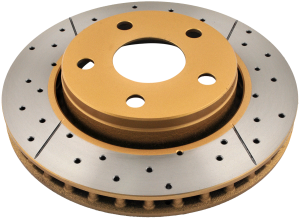 DBA’s Street Series Direct Replacement rotors are the perfect option for users looking for a direct OE replacement disc rotor that is built using the highest quality manufacturing processes and proven safety, thanks to DBA’s over 40 years’ experience in brake rotors. DBA utilises a CBN (Cubic Boron Nitride) machine turned finish on the friction surface for improved DTV (Disc Thickness Variation) and parallelism. This provides a more dimensionally precise and stable surface finish when compared to ‘ground’ finished rotors. DBA gives you 100% confidence in fitment every time, not a cheap inferior alternative! 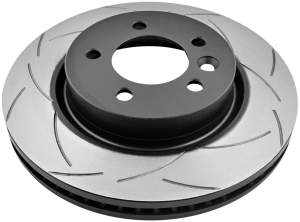 Street Series direct replacement rotors do not have a suffix in Street Series part numbers.